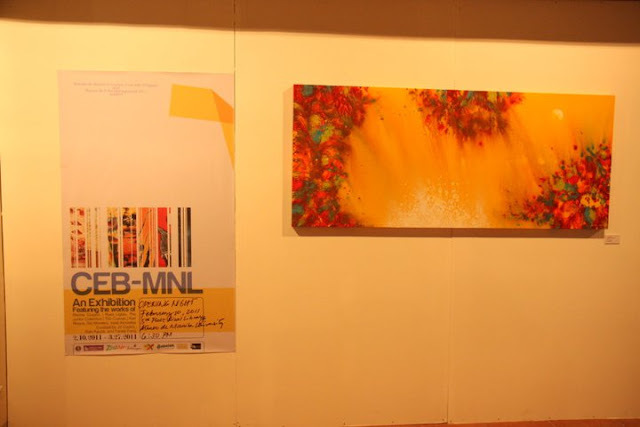 Manila, Philippines – February 4, 2011 – The Ateneo de Manila University Fine Arts Program and the seniors of Art Management will open CEB-MNL: An Exhibition at the 5th Floor of the new Ateneo Rizal Library on February 10, 2011 at 6:30 p.m. 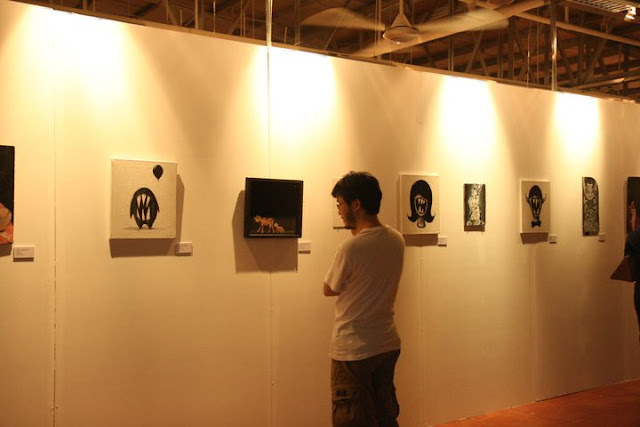 The public display of over seventy Cebuano artworks consists of four different shows of contemporary regional art featuring renowned abstract expressionists Tito Cuevas, Karl Roque, Sio Monte...ra, and Vidal Alcoseba, Jr.; sculptor Ritchie Quijano; and graffiti artists Russ Ligtas and The Junks Collective. 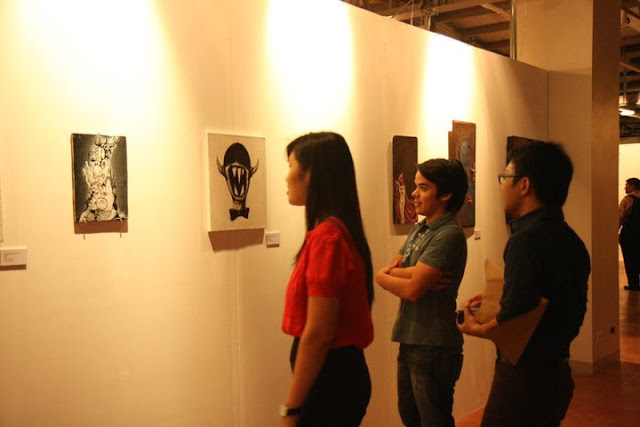 The first show The Inception of Deviation presents highlights from the artistic career of Tito Cuevas, a renowned Cebuano abstract expressionist, whose three decades of rare paintings, prints, and drawings are showcased. The second show A Route to Globalization is composed of monumental works by Karl Roque, Sio Montera, and Vidal Alcoseba, present-day Cebuano artists who dominate the local art scene. Done for the younger generation, works of graffiti artists The Junks Collective and Russ Ligtas are featured in the third show Breaking In, Breaking Out. Lastly, odd sculptures reflecting localized Christian iconography made from found objects form Ritchie Quijano’s Salvaged Antiquity, the fourth and last show. 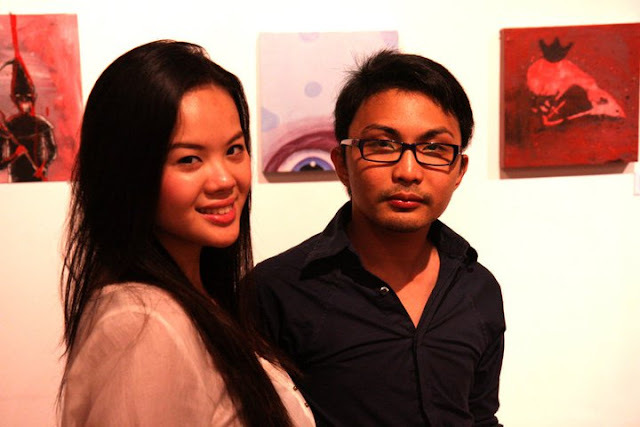 Curated by JV Castro, Tanee Fong, and Gab Aguila, CEB-MNL: An Exhibition will run from February 10, 2011 to March 27, 2011. All proceeds from will benefit the Jesuit Communication Foundation, Alternative Contemporary Art Studio, and the Ateneo de Manila University Fine Arts Program.